About: "I prefer to draw/paint nature but if I can’t, I photograph or sketch. I do not favour slavishly copying every aspect of the photo but enjoy rearranging the composition or the mood to achieve what I want to say." 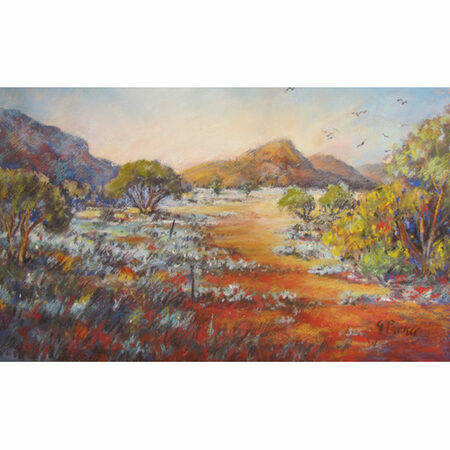 Glenda first studied fine art in 1978 through the TAFE Art and Craft Certificate, at the Whyalla Campus. Glenda is Whyalla born, moving to Adelaide in 1992. Born , moved to Adelaide in 1992. 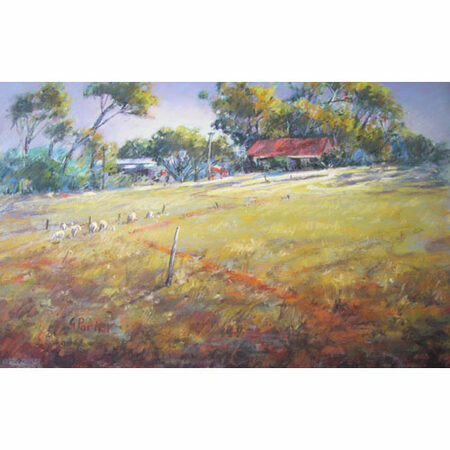 Since then she has explored several medium and now holds workshops and demonstrates silk painting, watercolour, acrylic and pastel painting to various art and community clubs throughout South Australia. 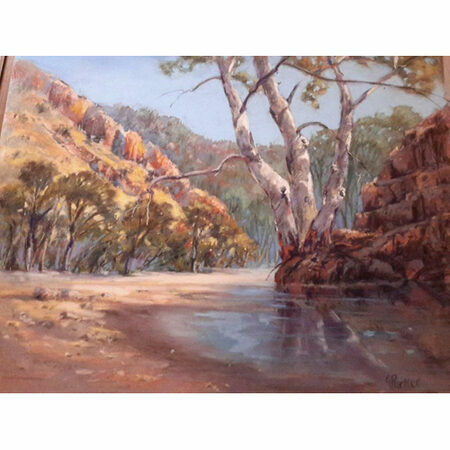 Adelaide Art Society, Whyalla Art Group, RSASA, Pastel Artists of South Australia. Please contact Glenda for details if interested in viewing art currently exhibited.